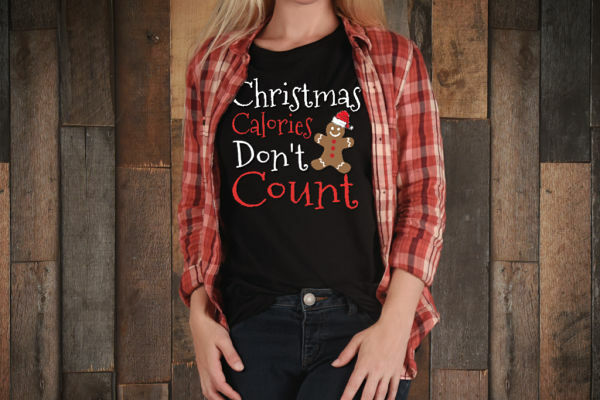 Funny Christmas t shirt that says “Christmas Calories Don’t Count”! Featuring a fun gingerbread man with a Santa hat, everyone will get a kick out of this t-shirt. Perfect for bakers, foodies, and pie eaters, this funny holiday t-shirt will make everyone laugh. Great xmas shirt gift for yourself and someone on your Christmas list! Grab this gingerbread man Christmas t-shirt today!